We’d love your help. 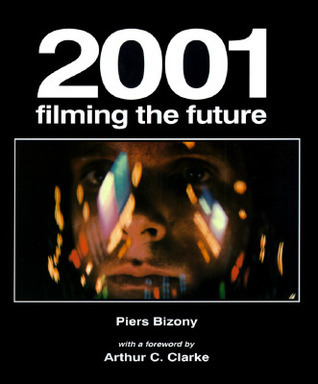 Let us know what’s wrong with this preview of 2001 by Piers Bizony. This text looks at the most influential science fiction film of the last 30 years, with its pathbreaking special effects, brilliant use of music, and mystifying metaphysics. 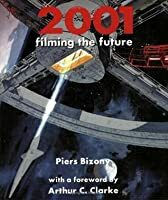 To ask other readers questions about 2001, please sign up. A seminal tribute to Kubrick's larger-than-life motion picture, 2001: A Space Odyssey. I felt the author could have delved deeper into the cinema of Stanley Kubrick, better explaining the context of his vision and reasons for making such a trippy movie. According to producer Norman Kagan, 2001 contains the four tenents Kubrick applied to every movie he made: futility of intelligence, homicide-suicide, triumph of obsessive hero, and journey to freedom. Still, it's a book glimmering with the worki A seminal tribute to Kubrick's larger-than-life motion picture, 2001: A Space Odyssey. A truly phenomenal, enlightening book. I checked this out of the library after I read the surprisingly disappointing reviews of the newly released Taschen updated version of this book. It is a slim volume, but you’d be hard pressed to have any unanswered questions after reading it. Obviously, it’s not going into the film theory of the movie, it sticks to the origins of how the film project came about, the collaboration between Clarke and Kubrick, and details on so many of the technical aspects of A truly phenomenal, enlightening book. I checked this out of the library after I read the surprisingly disappointing reviews of the newly released Taschen updated version of this book. It is a slim volume, but you’d be hard pressed to have any unanswered questions after reading it. Obviously, it’s not going into the film theory of the movie, it sticks to the origins of how the film project came about, the collaboration between Clarke and Kubrick, and details on so many of the technical aspects of the film. It also touches on the cultural impact it had at the time. There were so many anecdotes about how they achieved certain shots and the absolute focus Kubrick had filming each frame. It also touched on his role as a stern, demanding, yet encouraging collaborator to virtually everyone on set. His reclusive legend will always be out there, however the more insightful books you read about him, you hear how cool it must have been to work for/with him, as long as you had the temperment. This book really hammers home what an amazing achievement this film is. It reminds you that we hadn’t even reached the moon by the time they started filming, and that so many of the choices they made had to be researched as much as they could from NASA and other expert sources in order to get it as right as they could. We take space movies for granted now but this certainly changed the game forever. This book really describes what an experience the entire process of putting this film together was and makes you appreciate it even more. The only very slight drawback to this book is so many of the images are in black in white. However, if you want books of color stills from this, there are many out there. The Book to read about one of the best films of the late 20th century. Piers Bizony is a science journalist and space historian who writes for magazines such as Focus and Wired as well as the Independent. His award-winning book on Kubrick's 2001: A Space Odyssey was described as 'full of sparkling enthusiasm' by the New Scientist and 'excellent, in every way worthy of Kubrick's original precision-crafted vision' by the Evening Standard.